Ask any camper and they will tell you that everything is better with a friend! 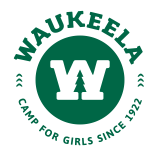 At Waukeela, our sisterhood community helps girls connect with others in a meaningful way. Many Waukeela campers return home with friendships they can cherish forever.